Gallery - Forest of Boland - The engines - "The Boland Belle". 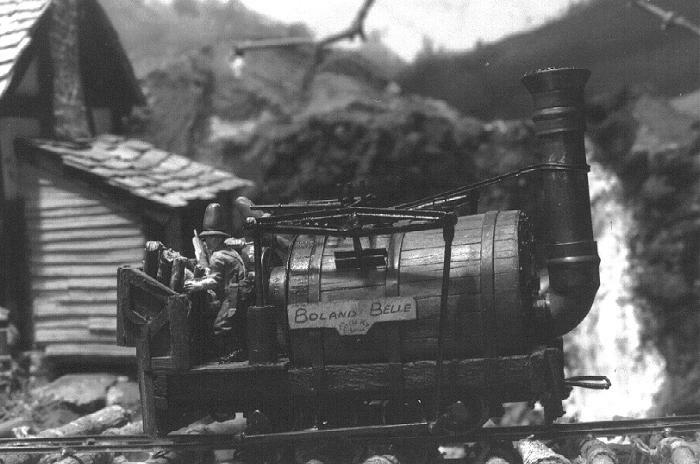 The Boland Belle - the "Pride of the Line"
indentThis wonderful old engine has seen better days and several rebuilds but remains in service for the simple reason that the gnomes are very fond of her. Built in the form of two beam engines, with what might best be called a "barrel tank" to hold the water, it was found that mounting the cylinders on the footplate led to serious heat losses, since mitigated by the use of copious insulation.